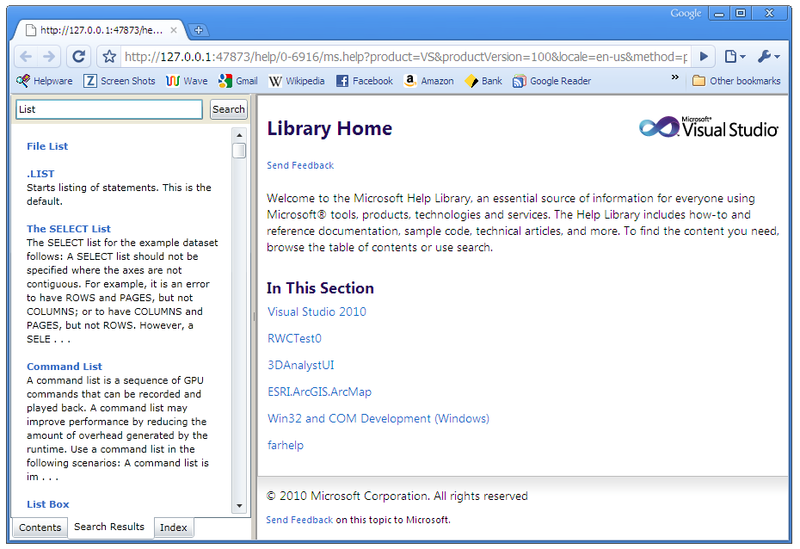 MS Help Team have just released a new Help Viewer. It can be run embedded in a browser or run standalone. It has the full index but still the lo-band TOC experience. I had to reboot the PC (as well as restart Agent) to make it work. I'm currently having problems with all browsers except Chrome. I hope you have a better experience. For me this is a very ruff first release which I'll uninstall for now and wait until they fix it up. Thankfully when I uninstall (no reboot required), the old experience is fully reinstated. 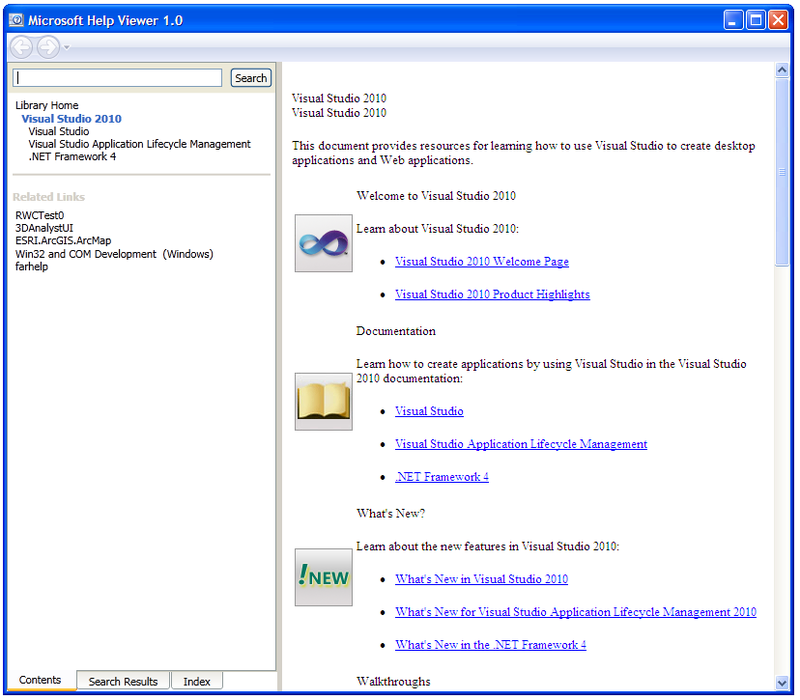 IE8 - Banding (stylesheet) no longer works. Embedded viewer does not show. FireFox, Opera, Safari - Embedded viewer shows but the right content side is blank. H3Viewer - I've lost all branding. When I switch to Standalone mode it still shows in my browsers. 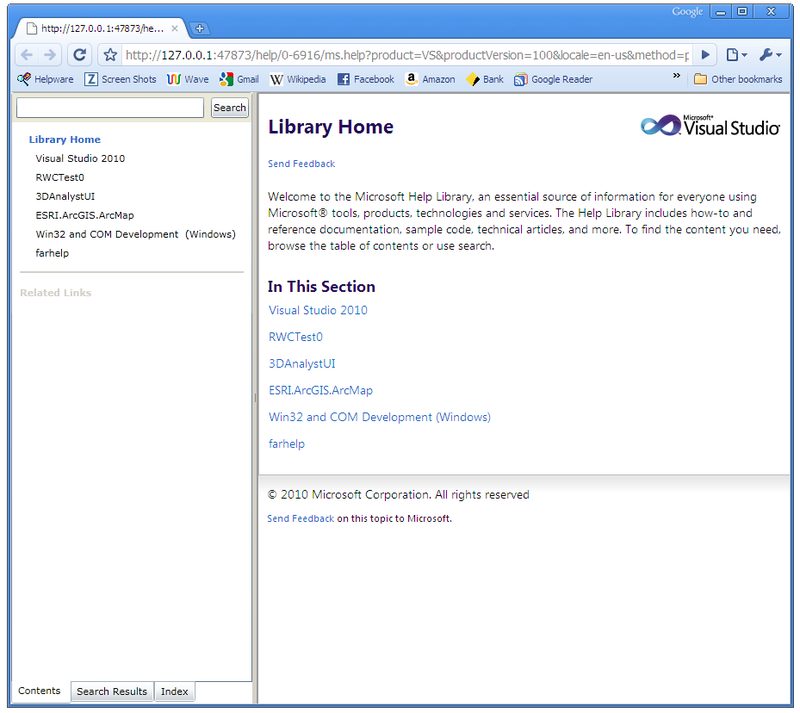 In embedded mode a left hand navigation panel (done in Silverlight) appears for http:///127.0.0.1:47873/ type URLs. The TOC is lo-band style. 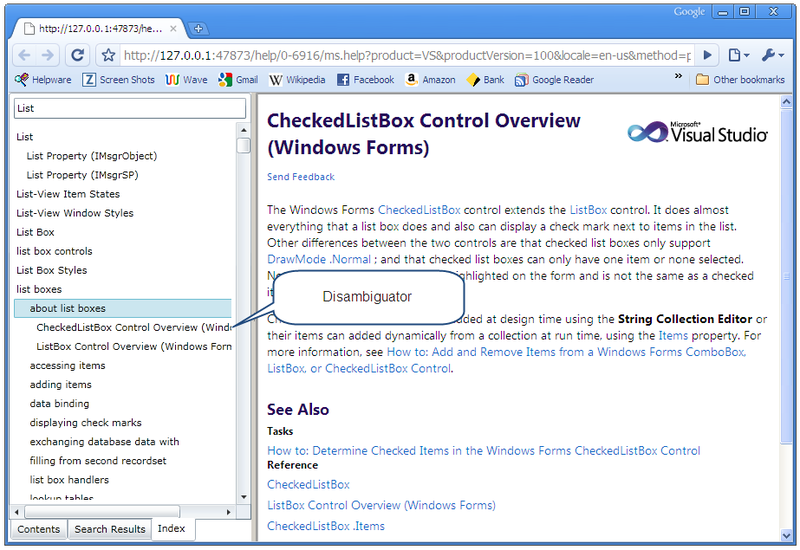 Index - Disambiguator items show inline. As you can see I'm not seeing any branding in the content pane.